Thanks carles i do appreciate your kind words, I think ive still a long way to go with mineral photography, I will probably always feel like that, sometimes I think its having a scientific background, Im always trying to improve my methods and im never satisfied. 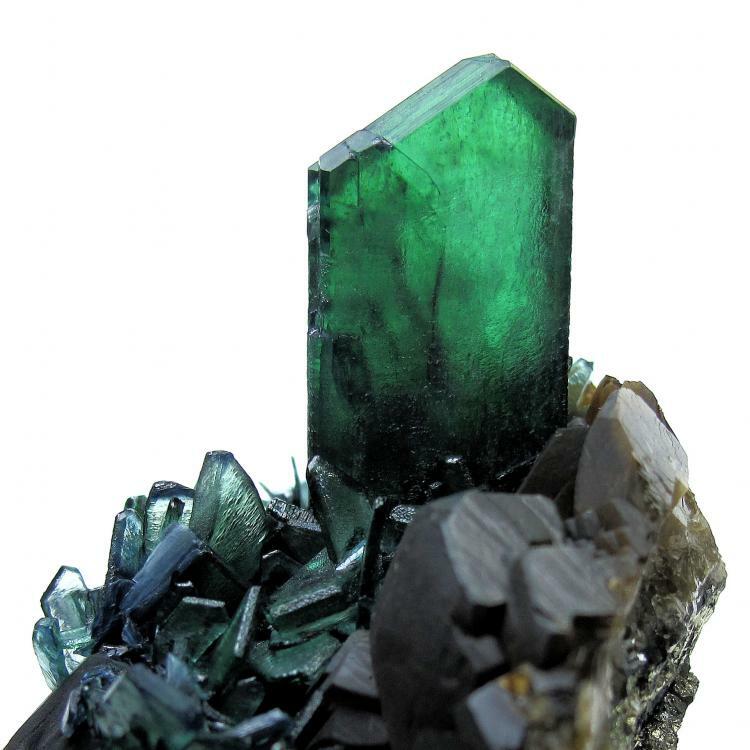 Group of translucent to transparent sharp vivianite crystals with a rich green color, showing the typical tabular habit with a hexagonal shape, set on a matrix of dark brown crystallized siderite with some pyrite at its bottom. 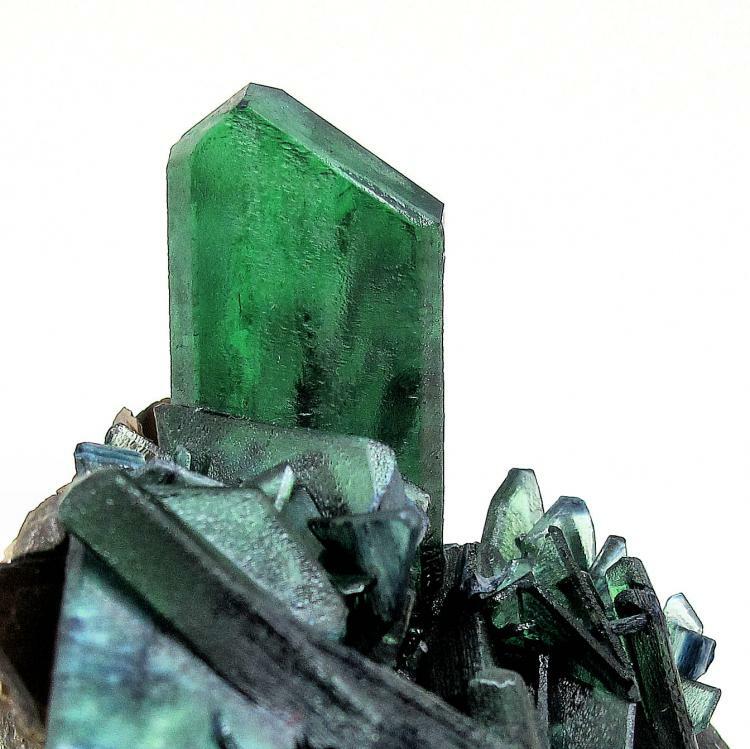 From a new find at Colavi mine, which until now had not been known for producing quality vivianite specimens. This very find has yielded too a number of excellent ludlamite groups on the same dark brown siderite and pyrite matrix. 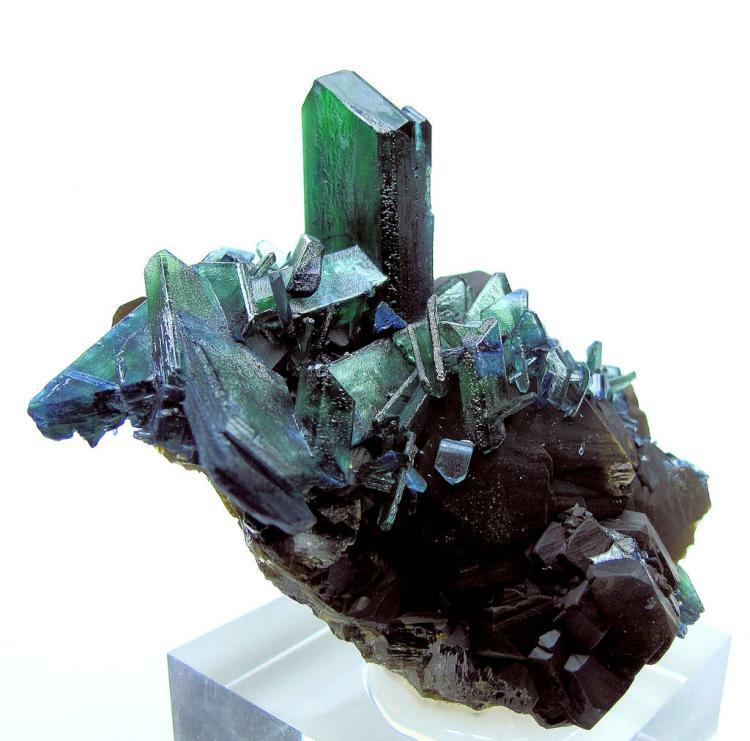 Vivianite crystals undamaged. Overall size: 78 mm x 65 mm. Main vivianite crystal: 30 mm x 16 mm x 8 mm. Weight: 216 g.
Colavi Mine, Machacamarca, Cornelio Saavedra, Potosí, Bolivia. Photos copyright © Carles Millan. Reproduction allowed as long as the author's name is cited and the image not modified. Creative Commons Attribution Licence - Some Rights Reserved. Ganzhizhou Mine, Meigu, Liangshan, Sichuan, China. Not sure yet, Berthold Ottens is working on it. 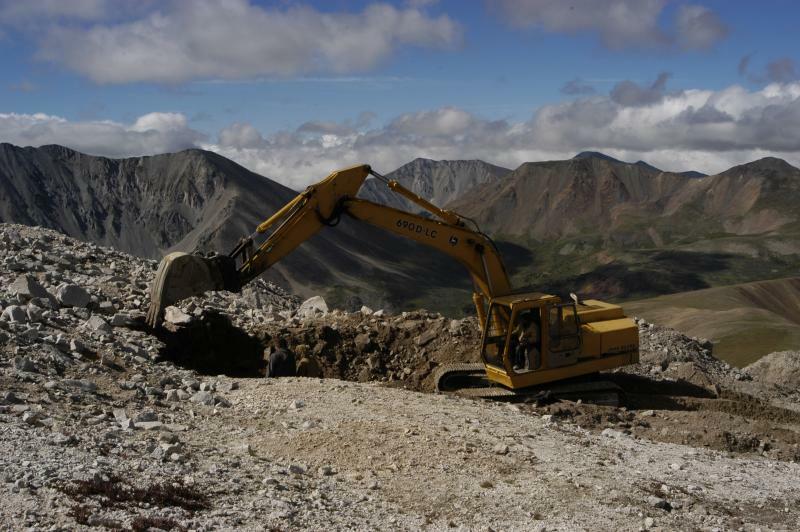 and in three months we will know the name of the mine. According Berthold the paragenesis is very simple: just Chalcopyrite, Siderite, Tetrahedrite and Calcite. Great specimen Carles. I think you just convinced me to add one like this to my collection. IMHO that cannot be considered a locality yet. Hezhang County is neither a city nor a town, but an administrative area that might have a large extension. In addition, and according to Wikipedia, Hezhang County and Bijie Prefecture belong to the Guizhou province, not Guangxi. Let's wait for Berthold to make that data more accurate before amending our records. IMHO that cannot be considered a locality yet. Hezhang County is not a city nor a town, but an administrative area that might have a large extension. Let's wait for Berthold to make that data more precise before amending our records. Thanks Carles, I already modified "Guangxi" for "Guizhou" and "locality" for "details" in the title of the other thread The right details for the new Chinese Chalcopyrites with Siderite! As I said: "Berthold Ottens finally find out the right locality for these Chalcopyrites with Siderite, for the moment we can say... and in three months we will know the name of the mine ..."
you can amend your records now or then, this is up you. 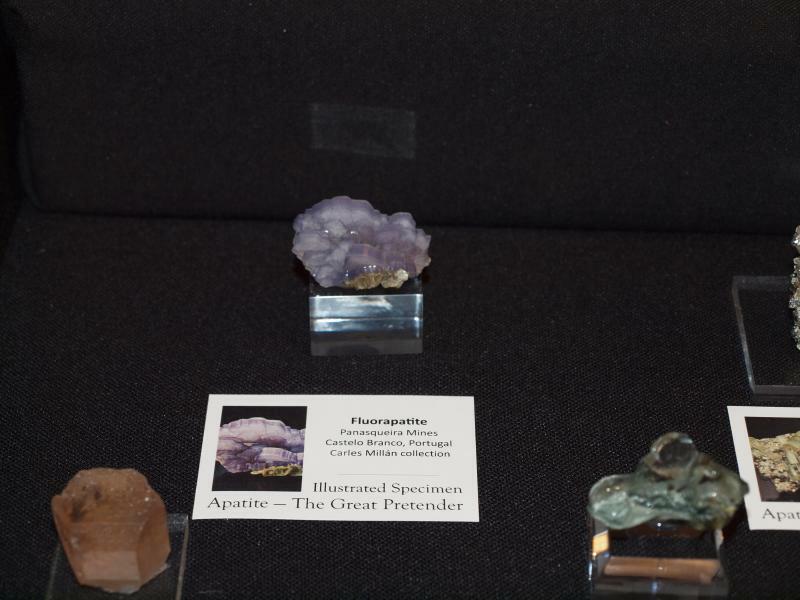 Very nice selection of specimens Carles, I enjoy reviewing your collection photo's. Thank you, Joseph. I'm glad you like them. 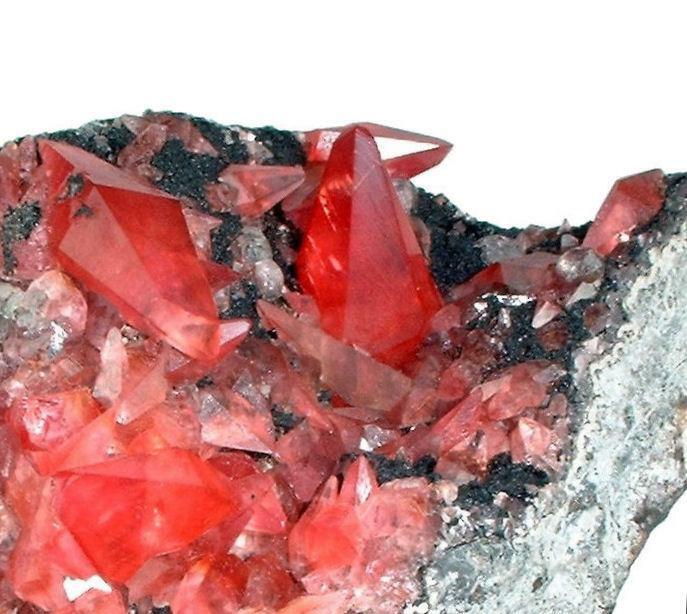 Red pink scalenohedral rhodochrosite crystals, some of them doubly terminated, with several complex colorless small fluorite crystals scattered on a matrix of manganese oxides. Specimen size: 84 mm x 65 mm across. 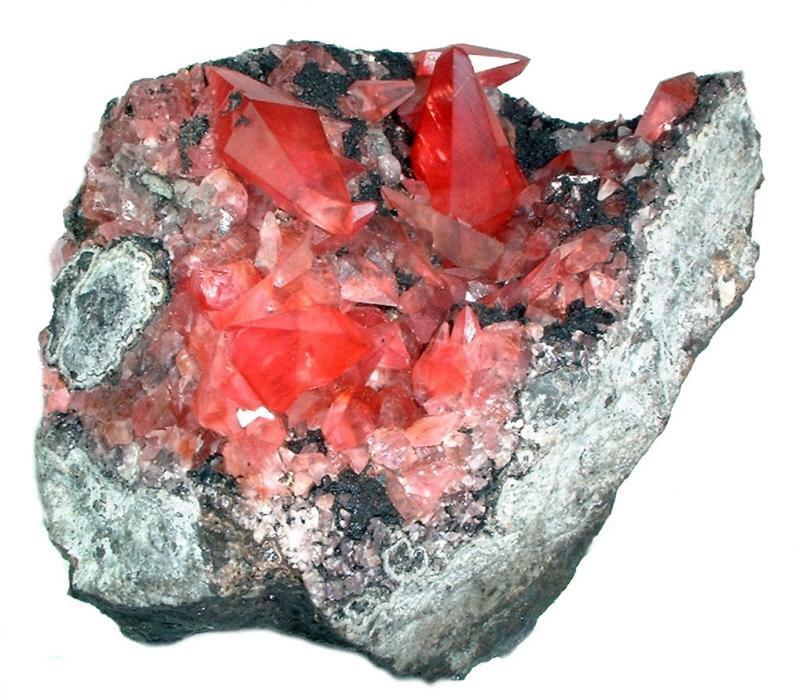 Major rhodochrosite crystal length: 26 mm. 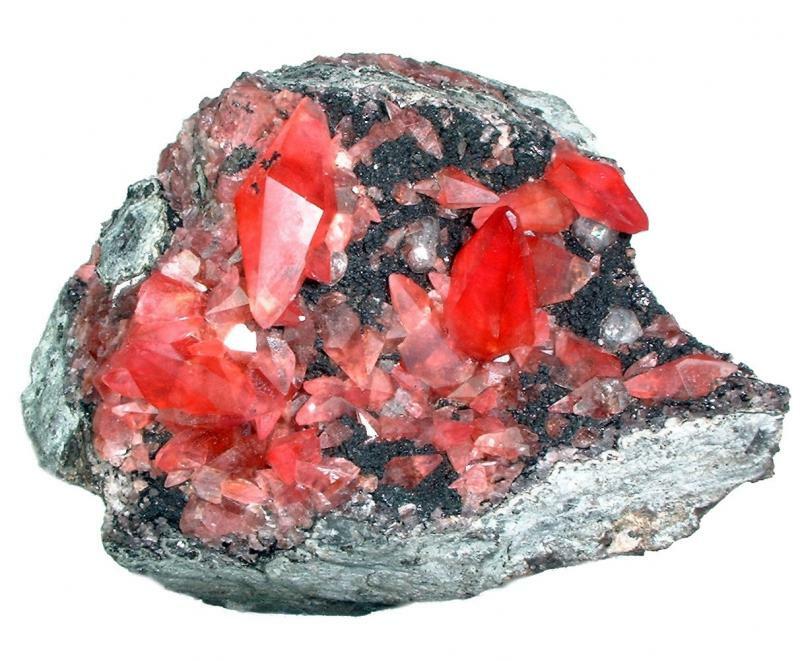 Weight: 463 g.
Uchucchacua Mine, Oyon Province, Lima Department, Peru. Photos copyright © Carles Millan. Reproduction allowed as long as the author's name is cited. Creative Commons Attribution Licence - Some Rights Reserved. Thank you, I've never seen such beautiful scalenohedra. 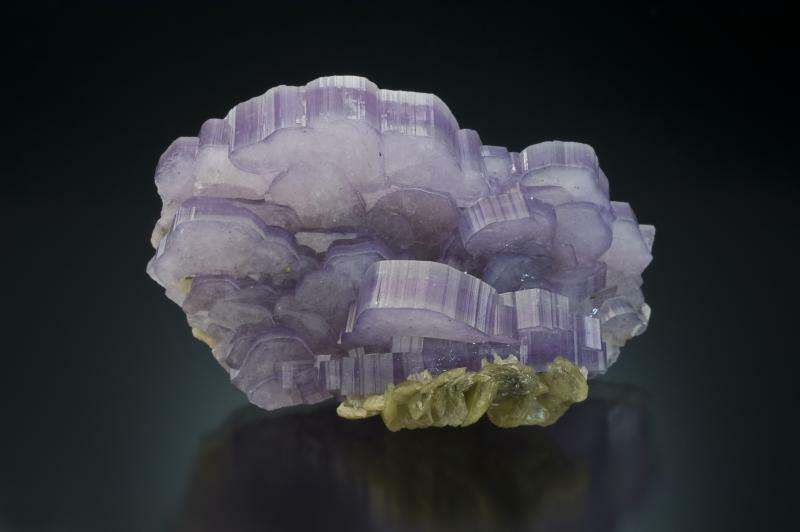 Zoned purple and colorless fluorapatite crystal group, showing parallel tabular growth, with siderite. Size: 38 mm x 24 mm x 20 mm. 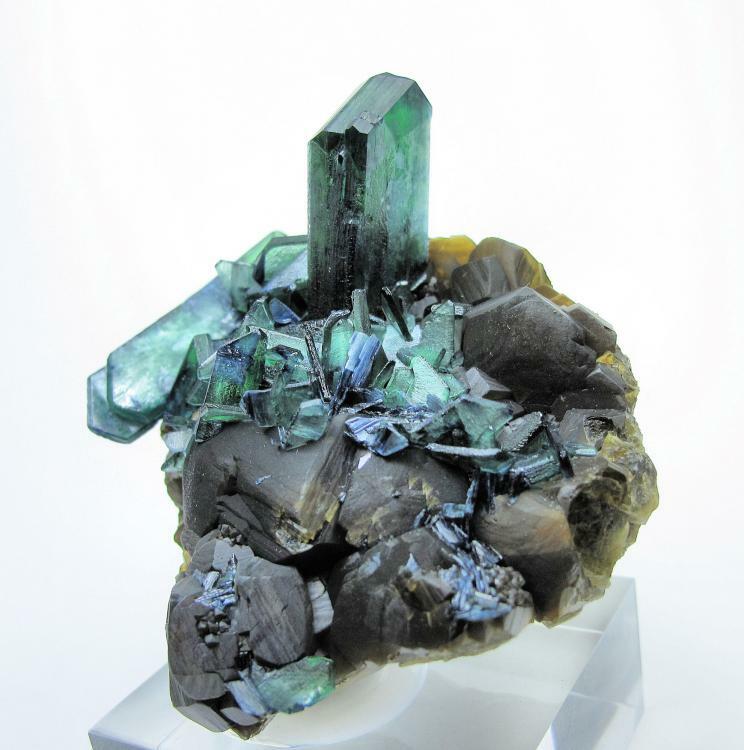 Weight: 20.2 g.
This specimen is illustrated in the softcover book Apatite: The Great Pretender, vol. 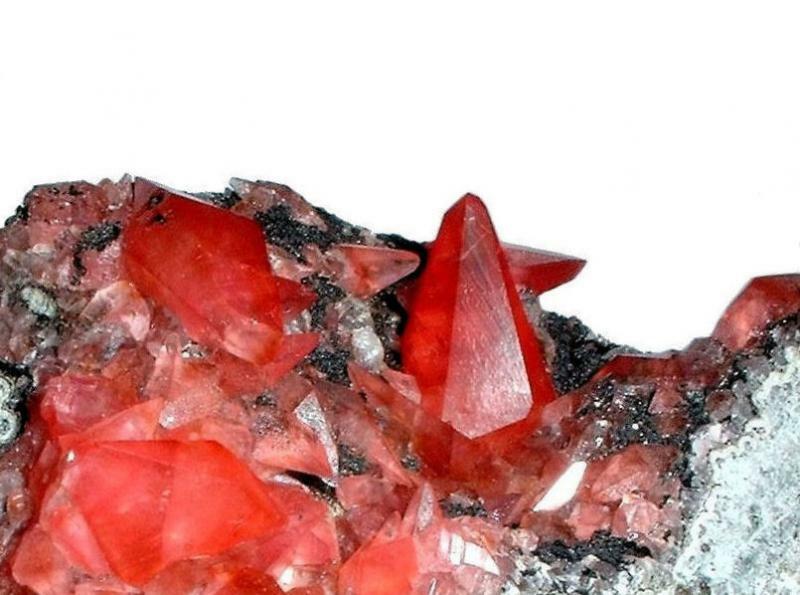 17, ExtraLapis English series, year 2013, included in the article The Panasqueira Mines: One Hundred Years of Fluorapatite, page 70, by Carles Curto and Jordi Fabre, in the magazine Mineral Up, 2013/1, page 46, and in The Mineralogical Record, 45/1, page 38. Panasqueira, Covilhã, Castelo Branco District, Portugal. 38 mm x 24 mm x 20 mm. A charming piece I know only by the photo (I hope "to meet" it directly soon at Carles Millán home). At the same time we are very grateful to Lithographie for the excellent edition and translation from Spanish. Absolutely wonderful fluorapatite Carles. I love the darker purple zones in the crystals. Thanks for showing it. Many thanks for your kind comments. I'm very glad you like it. Beyond a doubt this is the loveliest fluorapatite I have ever seen! And a special acknowledgement to the article's authors, Carles Curto and Jordi Fabre, who did a great work. 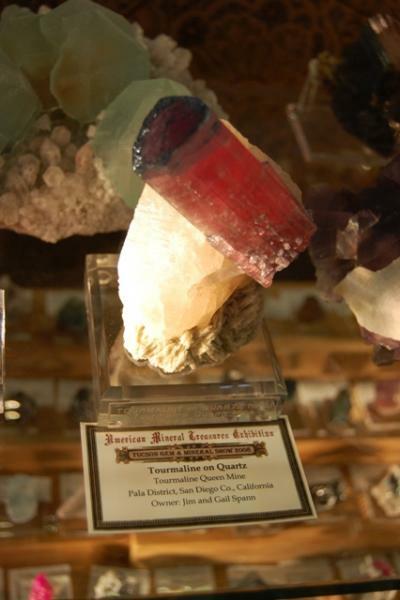 It is highly recommendable for apatite and Panasqueira minerals lovers.